You can argue the relative merits of air and train travel all day, but trains outscore planes every time on one important factor: scenery. With their large windows and comfortable coach seats, trains are unsurpassed for enjoying the countryside as you go. 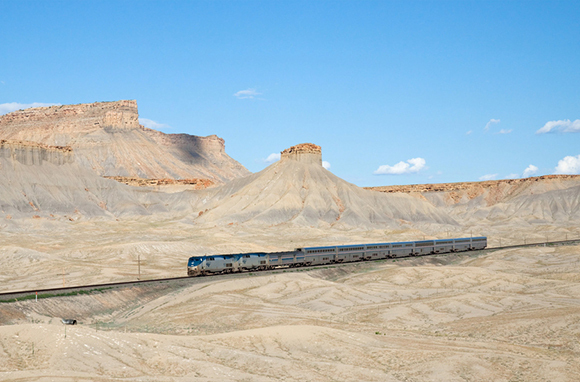 Amtrak posts a list of what it considers its most scenic trips. Amtrak’s list is based on trips that may entail a night or two en route. 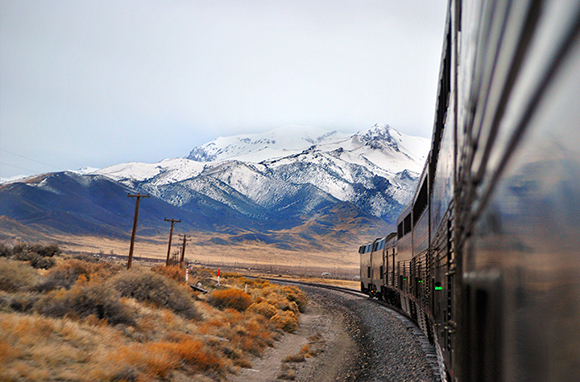 But you don’t have to travel overnight to enjoy spectacular scenery by train. 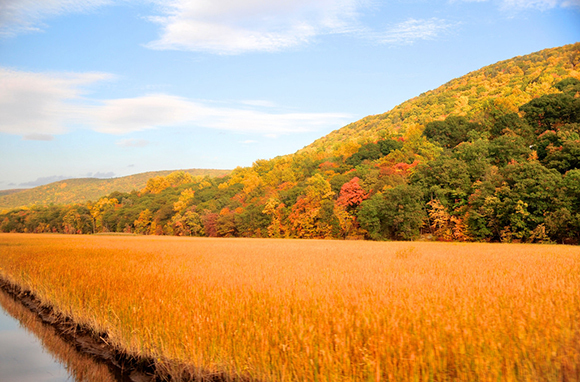 Several Amtrak routes include some spectacular day trips or day-trip segments. I tried to cull the best day-only options between cities with good air and highway access. The final list is mine, not Amtrak’s. Obviously, you can enjoy more daylight sightseeing in the summer than in the winter, but some trips can be good even when you pass through bleak winter snowscapes. 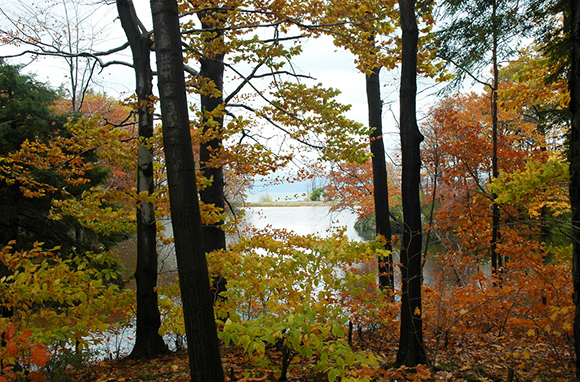 Fall trips, of course, can be fantastic for viewing foliage. Check Amtrak’s schedules for further details. The trip between New York City and Montreal on the Adirondack tops Amtrak's list of the most scenic train trips. It's one full day in either direction, with varied river, lake, and mountain scenery. It can be attractive for fall foliage. 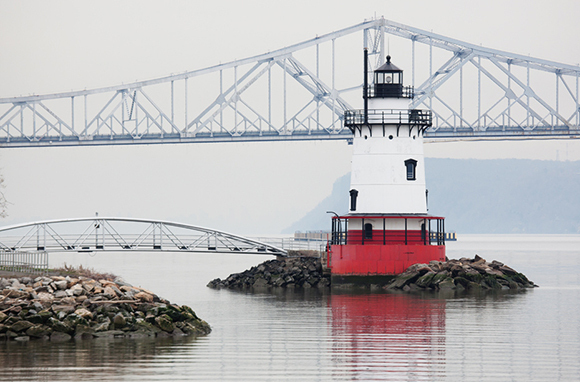 Going north from New York, you start out along the bank of the Hudson River, with great views of the Palisades and West Point in the morning, pass through Albany around midday, and enjoy views of Lake Champlain and the Adirondacks in the afternoon. To avoid looking into glare, as well as for a minor schedule advantage, northbound is a tad better. If you prefer not to enter Canada, you can use Plattsburgh, New York, as your northern terminal. 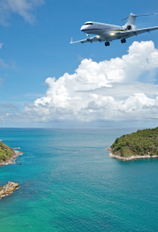 Several airlines fly to Plattsburgh, largely catering to Canadians looking for lower airfares. 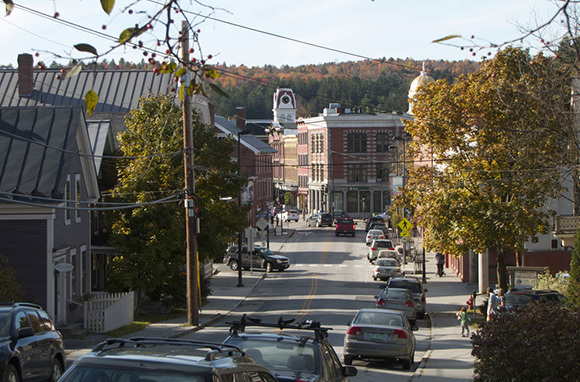 The daily train between New York City and St. Albans, Vermont, is another top choice in New England. It's a full day in either direction, with varied rural, mountain, and river scenery. It's also a good choice for foliage. Going north, you start out along the busy Northeast Corridor as far as New Haven, turn up through Hartford and Springfield, and travel through rustic New England hill, river, farm, and town scenery. St. Albans isn't much of a destination, and the Montreal bus connection no longer operates, so your better option is to use Essex Junction (the stop for Burlington) as your northern terminal. And if you want to avoid New York City, you can use Hartford or Springfield (or the joint airport at Windsor Locks) as your southern terminal without missing much scenery. This overnight train operates daily between Chicago and either Boston or New York, splitting at Albany. The segment between Albany and Boston passes through some great New England scenery. It's another great fall foliage option. Leaving Albany, you head right into the Berkshires, passing through New England towns and near Tanglewood, the summer home of the Boston Symphony, before you get into the populous part between Springfield and Boston. You can also use Springfield as the eastern terminal. 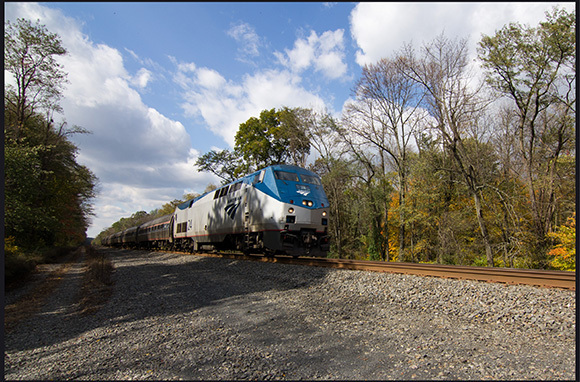 The daily Lake Shore Limited and several daily Empire Service Amtrak trains between Albany and Buffalo pass through the scenic areas of upstate New York. The Empire Service passes through the Finger Lakes, New York's wine country, and the Mohawk Valley by day in either direction. The Lake Shore Limited also goes on to cover the same Hudson River Valley trip as the Adirondack. 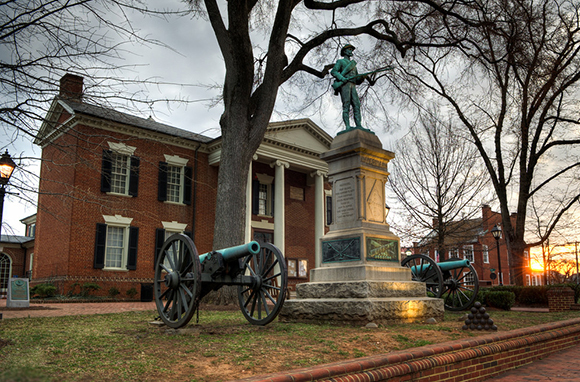 This daily day trip between Philadelphia and Pittsburgh follows the old Pennsylvania main line through the mountains in the western portion of the state. It's of special interest to old-time rail fans because it includes the famous "Horseshoe Curve" you see in so many pictures. Leaving Pittsburgh, you head into Arnold Palmer country around Latrobe, hit the mountains at Horseshoe Curve, travel through the flatter Pennsylvania Dutch country around Lancaster, and finally arrive in the busy Harrisburg and Philadelphia areas. You get to see the scenic mountain areas during daylight in either direction. The daily overnight Capitol Limited between Chicago and Washington, D.C., travels through some scenic mountainous and historical areas of Western Maryland, West Virginia, and Pennsylvania on the segment between D.C. and Pittsburgh. 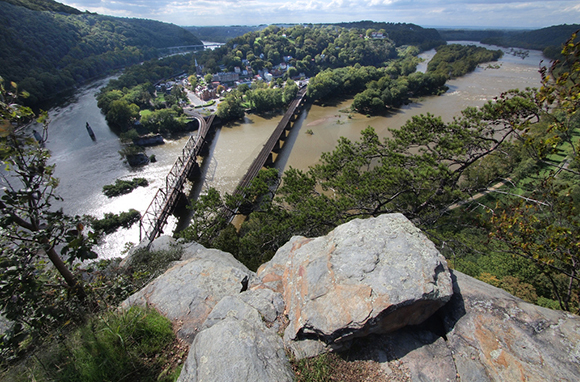 The route passes first through the Potomac Valley and then the Appalachian Mountains, with stops at Harpers Ferry, Martinsburg, and Cumberland. 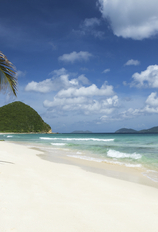 Neither direction is ideal for daytime viewing, but eastbound is the better of the two choices. The inconvenient departure time at Pittsburgh and late departure from D.C. make the Capitol Limited a marginal candidate for this list. The daylight segment between Denver and Salt Lake City on the daily two-night California Zephyr is another favorite for great Rocky Mountains scenery. Westbound, the train climbs up to the five-mile Moffat Tunnel then goes through the Rockies, Gore and Glenwood canyons, and the Colorado River Valley. Next, it's on to the Utah desert, with another mountain climb and a descent into the Salt Lake Basin. In midsummer, the westbound trip optimizes viewing time, but neither direction is ideal. You might prefer to use Grand Junction as your western terminal; you'll still get the best of the scenery with far better departure and arrival hours. 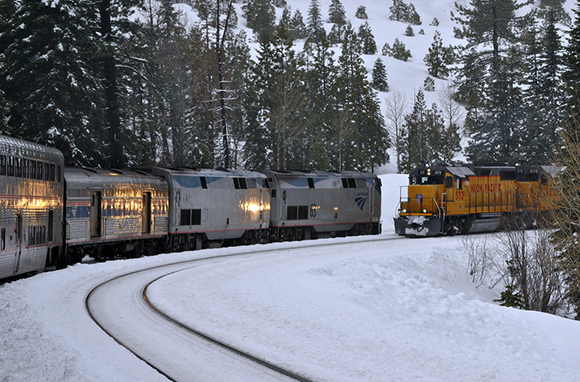 The Zephyr's other blockbuster day trip is the segment between Reno and Emeryville, which crosses the high Sierras through the historical Donner Pass during daylight hours. Eastbound from Emeryville, you start out along the northern end of San Francisco Bay, cross the flat area through Sacramento, climb into the Sierras, and then descend to Reno. Either direction is good for sightseeing, even in the dead of winter. 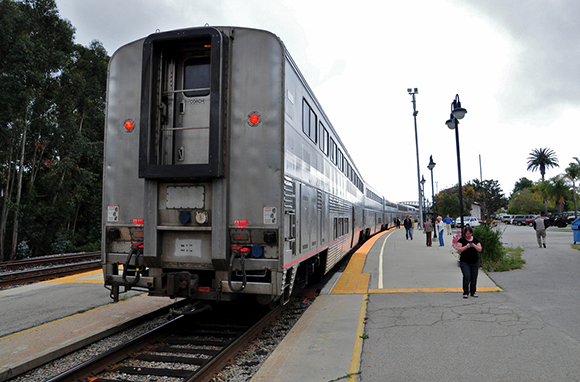 The Los Angeles–Oakland section of the overnight Coast Starlight between Los Angeles and Seattle is another favorite. After leaving the suburban Los Angeles sprawl, the train hugs the Pacific Ocean coast for more than 100 miles, through Pismo Beach. Then it heads north through the missile and rocket-launch center at Vandenberg Air Force Base, to some rugged low-mountain country, and through the famous farmlands around Salinas. Next, the train heads into Silicon Valley and Oakland. Travel northbound to avoid looking into the sun along the coast but southbound for more daytime hours.